As you may know, the internet was mostly down in Zimbabwe today. The main cause as we have established so far is that a Liquid Telecom fibre link supplying most of the country’s internet (directly to Liquid and ZOL customers, but also indirectly through leased capacity to TelOne, Dandemutande and other providers), was down. 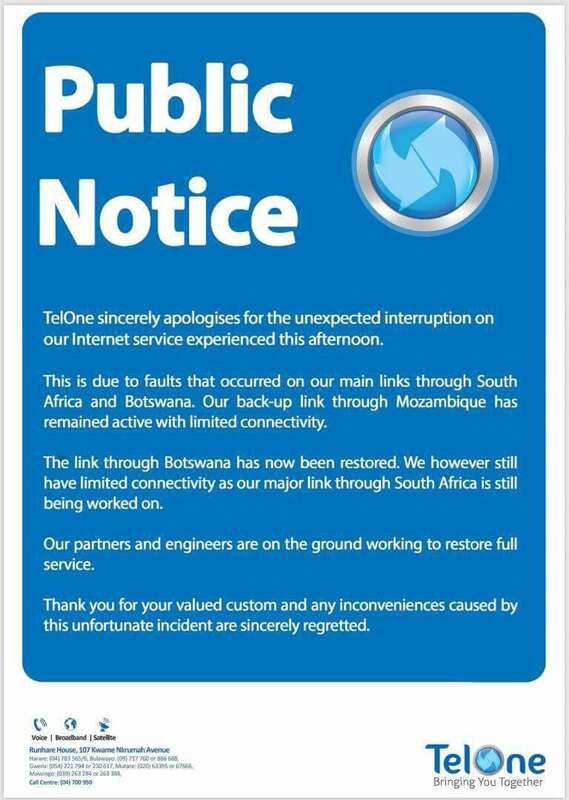 So far TelOne has released a statement explaining what the issues are on their side. Essentially, they also had an outage on their Botswana link. Apparently, TelOne gets its internet from 3 sources: Botswana, Mozambique (the EASSy link), and Beitbridge (The Liquid link). Coincidentally, therefore, the country lost two major links to the internet today. What strange so far is how whatever is supposed to be the backup link or route for the major Liquid link that went down, didn’t come up for hours. The coincidence of losing 2 major links at the same time is also quite strange. 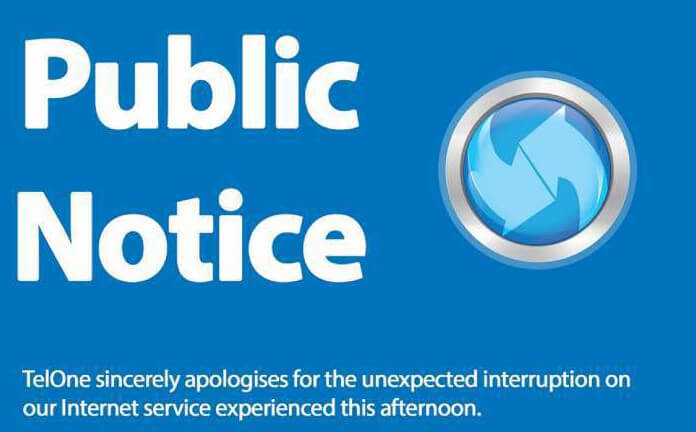 TelOne wishes to advise the public of an unexpected interruption on our internet service experienced this afternoon, 5 December 2017. This is due to faults that occurred on our main links through South Africa and Botswana. Our back-up link through Botswana has since been restored and together with the link through Mozambique we are operating at 50% capacity. Our partners in South Africa and TelOne engineers here in Zimbabwe are on the ground working to restore full service on the said major link. Can The Zimbabwean Economy Function Without The Internet?